Kali is perhaps one of the most secure operating systems in the world when it is guided by a competent security professional or knowledgeable hacker. But you don’t need to have advanced computing and I.T. systems degrees to take advantage of its vast array of security benefits. Unlike other popular operating systems like Windows platforms and Apple systems that were designed to harvest user information, Kali is incredibly secure. The first reason it’s so darn secure is that it is an open standard. Independent third-party organizations can (and have) run audits on the operating system’s code to ensure there aren’t background processes that will steal your data. If you think it sounds like something out of a science fiction book, just remember that Windows not only has an open door policy with the NSA, but Windows 10 was found to contain gigabytes of operating system code that collect and analyze user behaviors, browsing habits, and other personal information. Furthermore, Kali Linux simply isn’t vulnerable all of the viruses and spyware that plague Windows systems. With all of the amazing security benefits of using Kali Linux, you might be wondering why you’d want to use Tor on this popular Linux system. Basically, even though Kali is incredibly secure, it really only helps protect data on your local system. Once you send data to a web server (that could be located anywhere in the world), you have no idea if hackers or governmental agencies will see your data. In many instances, they’ll still be able to trace the origin of your data and track your IP address – unless you already use a proxy service or VPN service. That’s where Tor comes into play. Tor works by sending your data around to multiple nodes on the Tor network before sending them to the proper destination server. This serves to obfuscate your data, making it impossible for hackers and ISPs to locate the true source of the connection with a web server. Perfect, so Tor will protect you 100% online. All you have to do is install it and start browsing the Internet and your privacy will never be infringed upon, right? Well, not exactly. 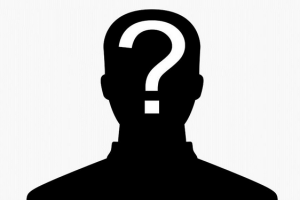 While Tor remains an extremely useful tool for protecting your anonymity, it is far from perfect. Its origins are actually rooted in the United States Navy, but it has evolved and progressed to become a tool open to the entire world. However, it has been hacked in the past and compromised a lot of personal data. The sad truth is that some people misuse Tor to hide illegal and clandestine activities. To put it bluntly, people take advantage of Tor to break the law. The vast majority of users just want the peace of mind that big brother isn’t looking over their shoulder every time they fire up a web browser. Unfortunately, the FBI has had to break the Tor network by hacking in to pursue unsavory and nefarious criminals such as child pornographers. Even though there are a lot of security concerns with using the Tor network, it still holds tremendous value in protecting your data online. The catch is that I wouldn’t personally use Tor unless I was using it in conjunction with a VPN service to add an extra layer of security and encryption. There are a couple of methods of using Tor in conjunction with a VPN service. 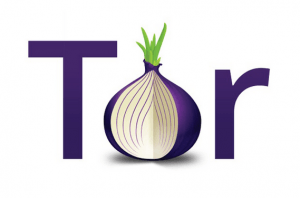 Though today we are simply looking at how to use the Tor Browser with Kali Linux, note that you can first connect to a VPN server before using Tor. Alternatively, there are a few select VPN clients that allow Tor integration so that a user’s data is encrypted before, during transport, and after exiting the Tor node. Just about any competent VPN service provider will include guides on their website detailing the steps to use Tor in conjunction with a VPN tunnel. Make sure you use the appropriate upper and lowercase options for the command. Once your downloaded files have been extracted with the tar command, change to the correct folder and start the installation process. In some instances, you may actually run into issues if you are running these commands as the root user. In that case, I would advise that you create a new user account which lacks administrative root privileges and run the commands again. You must also note that you have to use the Tor browser to use the Tor service. Essentially, the browser points to Tor nodes that are basically a special type of proxy service. If you were to browse the Internet from Firefox or another browser, you won’t be using the Tor service. It’s pretty darn simple to install the Tor browser on Kali Linux. But I would caution you to refrain from using the Tor browser exclusively without another layer of protection such as a VPN service. The Tor service has been hacked several times in the past, and despite the Tor project’s improvements to their service, no code will ever be 100% infallible. To put it simply, they could very well be hacked again in the future, and without a VPN service, your personal information may be at risk.